e-soccer.com > football > Questionable Endorsements: Are Footballers Playing Fair in the World of Business? Questionable Endorsements: Are Footballers Playing Fair in the World of Business? Another year, another scandal involving one of the most famous football players in the world. 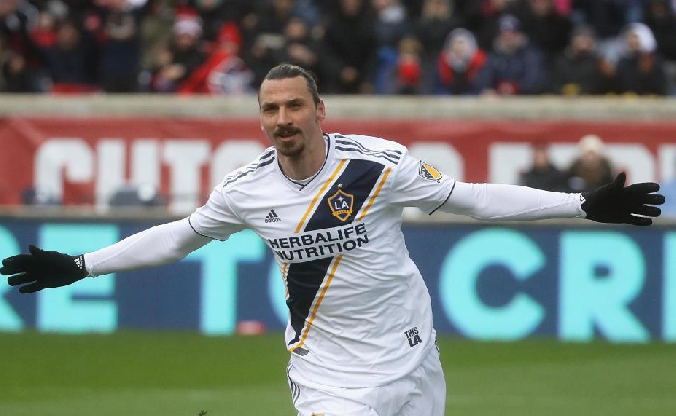 As you might expect, the subject of the scandal is Zlatan Ibrahimovic, currently playing for the LA Galaxy – the team said to be the retirement home for aging British footballers. The thing that sparked the latest controversy surrounding the player is Zlatan’s involvement with a betting firm – he didn’t only sign a sponsorship deal with BetHard, becoming the company’s brand ambassador, but he has also bought into it, becoming the co-owner of the Malta-registered company. “I have obviously been intensively courted by betting companies throughout my career, but up until now I have not been presented to anything that has triggered me,” the player told SportsPro Media this March. “With Bethard, there was something different. It’s a company with Swedish roots, the founders are from my hometown and they are true challengers who really want to do things differently.” There is a lot of controversies surrounding this decision, with the player being criticized by players, regulators, and Sweden’s Gambling Minister alike. Zlatan is not the first athlete to get involved with a questionable partner. Some of the endorsements we’ve had the chance to see in the past raised just as many eyebrows – yet most of them were on the funnier side. One of the most interesting examples was the apparent relationship between quality football and dry-cured bacon promoted by former Manchester United goalkeeper Peter Schmeichel. Born and raised in Denmark, Schmeichel obviously chose a business from its home country to become the face of. Apparently, the ad campaign was successful – the original ad involving questionable vocals by the (pretty hungover) goalkeeper resulted in a sequel filmed a decade after the first. Rush ahead a decade or so, and you’ll stumble upon another well-known player promoting a product that shouldn’t be consumed by athletes – let alone kids, who are the most impressionable audience for sports and ads. Emmanuel Adebayor is a Togolese professional footballer who played for a series of Premier League clubs, including Arsenal, Man City, and the Spurs. In 2012, though, he entered the playfield for another team – Power Horse. Adebayor didn’t perform as great on the small screen as he did in the playfield – his performance as the face of the energy drink is remembered as weird at best. The history of professional football is filled with goofy, tone-deaf, and often funny advertising stunts – yet none of them are as controversial as the one involving Zlatan.